Planning a quiet, stay at home Christmas this year? After the hectic pre-Christmas shopping and preparations for the celebration, you’ll be ready for a few days of leisure. Who doesn’t enjoy time to read a best seller, watch a movie or stay at home and relax in front of your own television? No driving required! With a prepaid gift card in your wallet, you’re ready to reserve your seat at the local cinema or join the throng and book a day at the cricket. Whatever you enjoy on your days off, here are a few ideas to help you plan your time away from the workplace. Cinemas release a highly anticipated new movie on Boxing Day to draw the crowds who are recovering from the festivities on Christmas Day. Use your prepaid gift card online or at the box office to reserve your seat and be one of the first to see the summer blockbusters. This year’s movie menu covers genres from fantasy, through rock music to comic adventures and sci-fi. Here are the top movies scheduled for December, check the movie sites nearer the dates. Bohemian Rhapsody. A celebration of the legendary rock band Queen, and their lead singer Freddie Mercury. Mary Poppins Returns. Emily Blunt is everyone’s favourite London nanny. Spider-Man: Into the Spider-Verse. Introduces the limitless possibilities of the Spider-Verse. Ralph Breaks the Internet: Wreck-It Ralph 2. Disney 3D animated adventure in the Internet data space. Mortal Engines. Futuristic post-apocalyptic sci-fi where cities roam the globe on huge wheels. American superhero film based on the DC Comics character and set in the underwater kingdom of Atlantis. Transformers spin-off centring around the yellow VW bug, Bumblebee. Find time to read the books you’ve been given at Christmas or use your prepaid gift card to buy one for yourself. Here’s a list of the 10 business and finance titles rated as best sellers this year by Booktopia. Plan to catch up with the latest releases on television or use your prepaid card to purchase one of this year’s 10 best-selling DVDs, as recommended by Booktopia. Everyone enjoys receiving a prepaid gift card because they make it easy to buy the gift you really want. 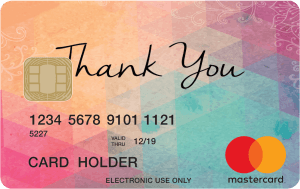 When your employer gives you a card as an end of year gift, your time off during the Christmas break makes it easy to use it wherever VISA or Mastercard are accepted. A survey by global financial technology company Blackhawk Network on the State of Consumer Gift Card Preferences in 2018 showed that 69% of employees would rather receive gift cards from employers in preference to other rewards such as cash. In Australia, 300 of the top 500 companies use prepaid gift cards as rewards and incentives for their staff. When planning for company end of year events it saves money and time to choose gift cards for staff as well as gifts for clients. Employers planning to show appreciation to staff can follow the trend to gifting by card. Corporate Prepaid Cards are specialists in prepaid gift cards with a range to suit all organisations from small business to major corporations. Choose from Mastercard, VISA and eftpos cards with festive themes. View the range on the website . 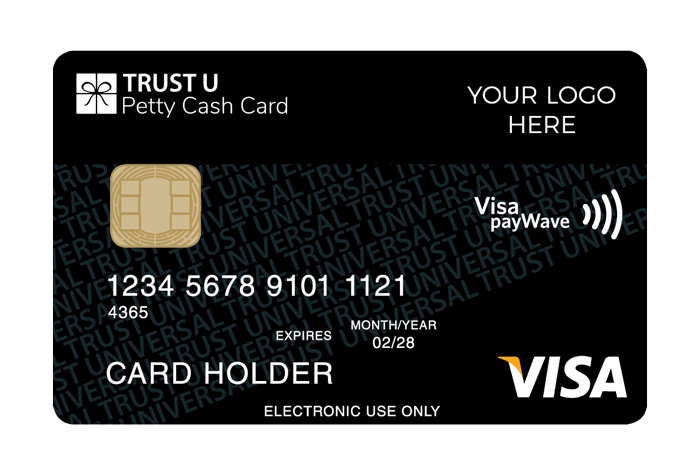 With each card there is a presentation wallet, which includes details on online activation, how to check the card balance and reporting of transactions. Find out more about how gift cards can be personalised with your company’s logo and specific design. Once finalised they are ready to order in small runs of up to 200 cards and can be delivered within 10 business days. You can request a quote online at corporateprepaidgiftcards.com.au or email info@corporateprepaidgiftcards.com.au or phone 1300 218 319.